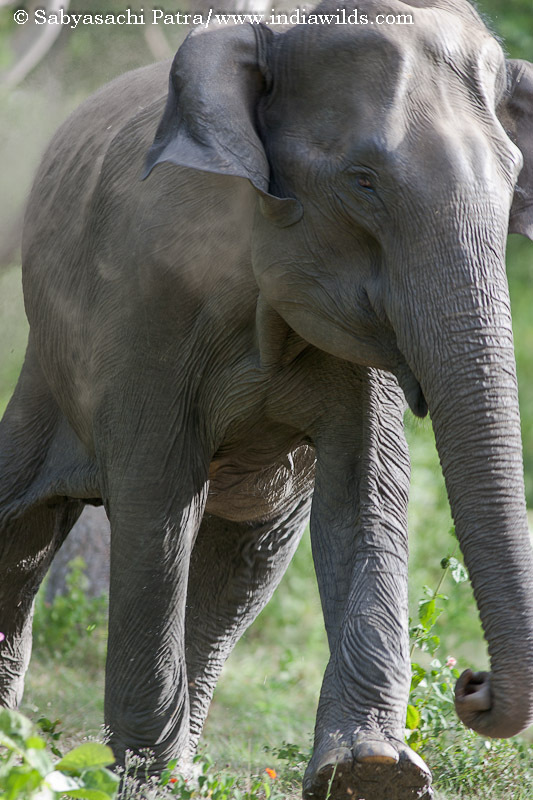 One of the most frightening experiences in the wild is due to elephant encounters. In the first part of this Wild India: Elephant Attacks series, I will just recount two experiences and the reasons behind elephants charging at humans. 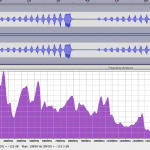 In the second part of the series, I will explain the signs of knowing how to decipher the elephant behaviour and know that a charge is imminent. An animal which is widely revered due to Lord Ganesha and also for being the vehicle of Godesses Laxmi is unfortunately also the most threatened. 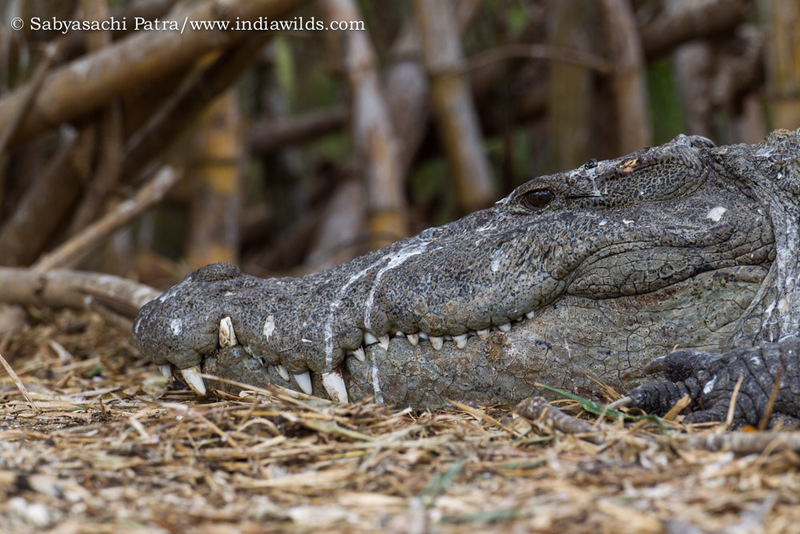 Because of its huge size, an adult male weighs more than 4 tons, they evoke fear as well. These gentle giants are often in news because of conflict with people. Too often elephants are killed by villagers using illegal live electric wires in their fences, poisoning, firing bullets from illegal weapons, pesticide poisoning etc. A few people are killed as well. 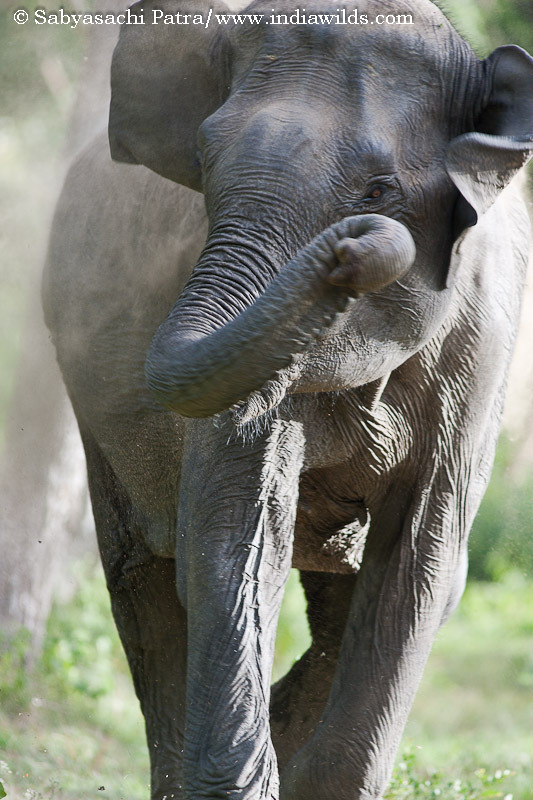 Some of them are killed as they approach too close to an elephant without realizing how fast these elephants can run. During my sojourns in wild india, I have walked, crawled and gone closer to elephants without provoking them. However, there has also been many instances when I am in the jungle in a vehicle and elephants have resented my presence and have charged. However, one instance always remains in my memory though it is more than seven years back. I was driving my new Tata Safari 4×4 vehicle from Billigiri Rangan Betta or popularly known as BR Hills before dawn towards K. Gudi. The road is winding. There was a light drizzle coupled with the mist and the fact that dawn was yet to break in, the visibility was very poor. I was slowly driving in the winding roads. I had heard alarm calls in the previous two days in the same spot and was careful hoping against hope that the tiger will again make an appearance. Suddenly an elephant was climbing down from my right towards the ravine in my left. He immediately got disoriented as it was an unexpected encounter in a blind curve. A sharp trumpet, and the elephant charged. I immediately started reversing. It was pitch dark and the only light was from my vehicle lamps, which got switched on while reversing. There was hardly six inches of space on both sides of the road with lantana bushes. A small mistake would result in either the vehicle plunging on the ravine below at the left or hitting the hill on the right. I reversed for about 20 meters or so and the elephant turned back. It was not interested in pursuing us. It had got shocked by the unexpected encounter and had charged. It was making us known its annoyance at being disturbed in its own home. We have to remember that we are intruders in their territory. It was a sudden affair for me too as it suddenly came out of pitch darkness like an apparition without any warning. If I would have got frightened, then it would have been a sure sign of death as the vehicle would have plunged several hundred feet down into the ravine. If you are driving or walking of foot in Wild India, these kind of encounters are likely to happen. 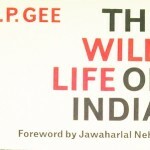 A quick wit and knowledge of animal behaviour often saves your life in wild india. I have been charged at by elephant in bandipur many times, many times mock charge and a few cases of determined charge. I am now going to relate on hair raising instance. All the images are full frame to give an idea about how close the elephant was. We were roaming around in Bandipur National Park, when we sighted an elephant and we stopped our vehicle. I was in the front seat besides the driver. The elephant was trying to rub itself on a tree. I picked up my 300mm f4 L IS USM lens to get a close up of the elephant. When I clicked this shot, I was slightly out of the seat to get a clear view and was clicking calmly. The tourists had closed their eyes. Rightly so. If they would have seen such closeups, then I am sure one of them would have fainted. This asiatic elephant after charging at us several times, moved back and resorted to throwing mud on itself. This behaviour also happens when they are stressed. 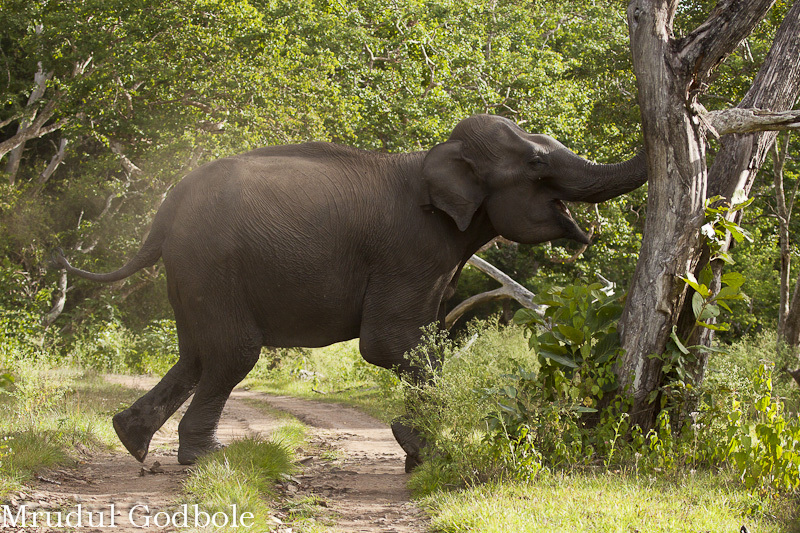 After a mock charge, the elephant turns back and either breaks a branch, or throws leaves and mud on itself or feeds at a rapid pace. In this case exactly the same thing happened. The elephant turned back and broke a few branches and started throwing mud. 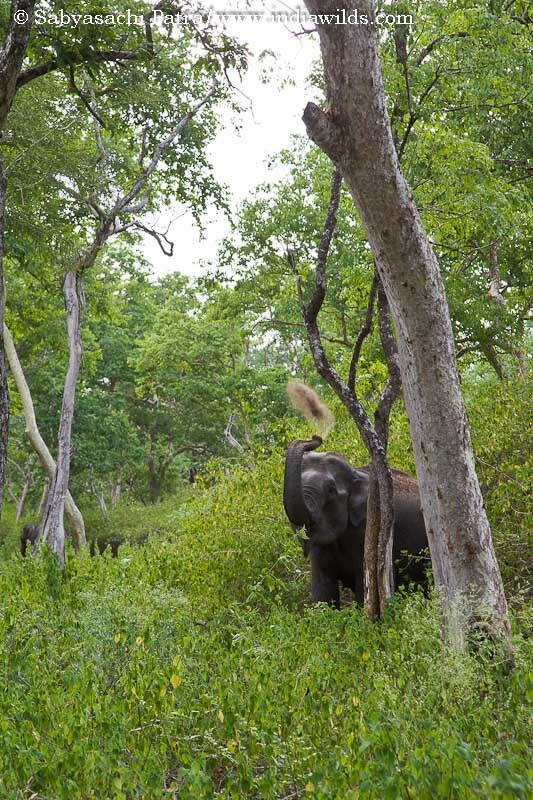 In Bandipur, the elephants have generally become aggressive as they are often disturbed by people. The other day I saw the herd of elephants about to cross the bandipur-mudumalai road. However, they were prevented from crossing by honking trucks, busses, cars and jeeps. The elephants changed direction but were again blocked by people. The elephants then turned back and went away. These things keep on happening, so the elephants are becoming aggressive. 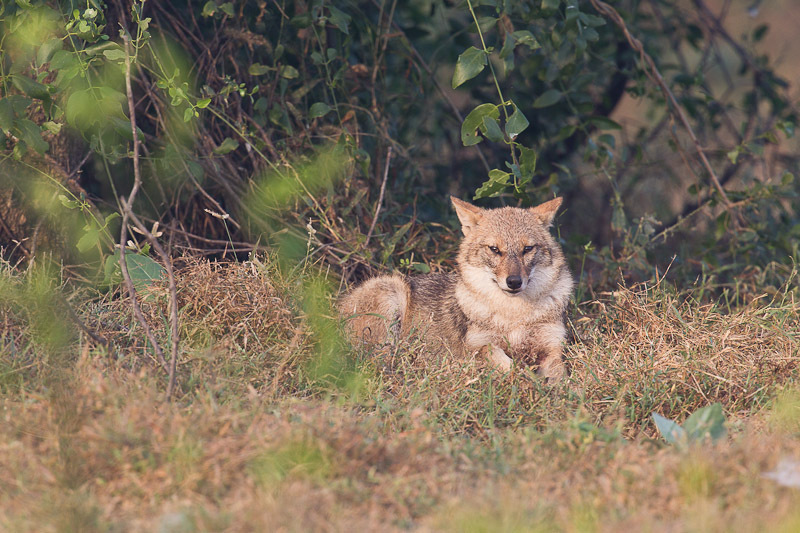 I am also sure, outside the reserve, they would be scared away by people using firecrackers if not shotgun pellets. Each elephant is different in its behaviour due to the experiences it has undergone and the learning’s it has imbibed from its mother and immediate family. It is very similar to the our concept of the child ego state in humans where by whatever a child has seen during his/her growing up stage gets imprinted in the child ego state and it acts on the basis of it. A small example of this is the way people clear their throat, other mannerism, they way the cook, make their bed etc. These are clearly imprinted in their child ego state and they take it for granted those actions as the valid and the only way of doing things. An example of this could clearly be seen in Africa where a group of adolescent elephants were seen to kill rhinos. It was later found out that adult elephants in their group were “culled” a so called scientific word for killing to maintain population at a particular level. Clearly these elephants were devastated and took to showing unrestrained anger and killing rhinos. A few things can be done to improve the state of affairs. In the first instance in BR Hills where the elephant coming down from the hills was forced to charge at the vehicle as it was close. Most of the times, in the ghat roads, to stop vehicles from falling over a feet or so high walls are created. This completely stops the elephants from climbing up or getting down. As such elephants carefully choose their path to ascent and descent steep slopes to balance their huge bulk and avoid toppling over. 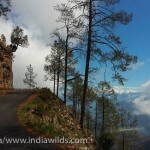 These side walls in the winding ghat roads makes their life difficult. So at times when the elephant is coming towards us, it is also trying to find a way out where it can get down from the road. If you come across elephants with calves, then it is better to back off, as the calves find it very difficult to negotiate the height of the side walls. This will lead to the elephant making a charge. Avoid regular thoroughfare roads plying through the jungle. If alternate alignments can be created, then the wild elephants can cross the roads without getting hit by vehicles. Also the disturbance will be less in the elephant habitats. Apart from elephant, other wildlife will also benefit. I was told by a jungle lodges driver that there are photographers, who are supposed to have a fan following in some photosharing sites, try to irritate elephants and eliciting a mock charge so that they can get a good photo. Just to give an example of how powerful these elephants are, Ian Douglas Hamilton has written in his book that once an elephant attacked and plunged its tusks through his landrover. The sheet metal gave way like a big needle piercing a paper bag. Fortunately, he had a guard who fired in the air to somehow ward off the elephant. 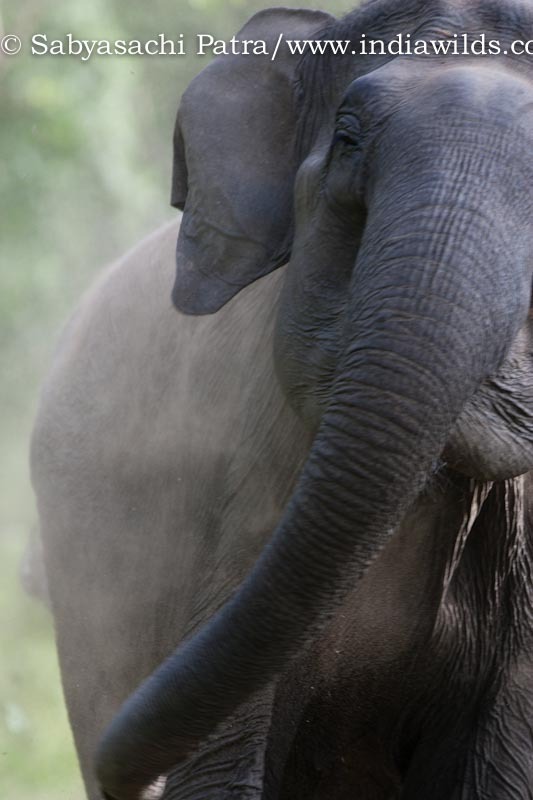 Our female elephants don’t have tusks like male elephants, however, their power is phenomenal. Let us not invite the wrath of Lord Ganesha! If you are not knowledgeable about elephant behaviour and have gone for a vacation in one of the many sanctuaries in wild india, then you ought to be careful and have a knowledgeable guide along with you all the time. 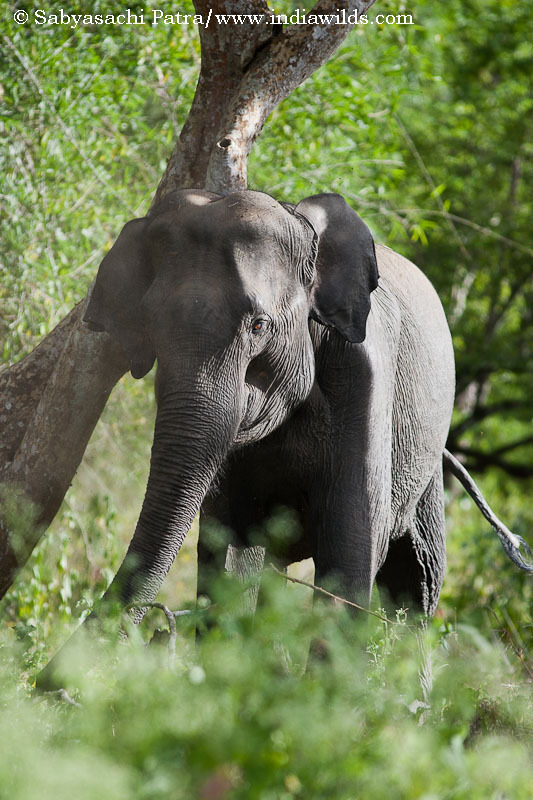 In my next part of the article, Wild India: Elephant Attacks Part II, I will talk about how to detect an imminent charge based on the body language of elephants. I’d given bath to elephants in K Gudi and Dubare. they are friendly animals when in good mood. Haven’t seen them in their fury. They are always very nice and gentle. Unfortunately, we don’t respect them and we violate their physical space. They are very intelligent too. Hope we can save our Gods. That’s really sad… elephants are one of my favorite animals and I find them very adorable. We should be careful and see to it that we do not cause them any unnecessary troubles and provoke them to act in a manner that does not come naturally to them. I fully agree with you. We have to show sensitivity. The human race has capability to inflict the maximum damage on our environment and is also doing that. So we have to show restraint. We have to pause and reconsider the path that we are treading. Else, there will be no tomorrow. This was a great post, Sabyasachi. Thank you so much for sharing the signs of recognising signs of an elephant about to attack. I am happy that you liked it. The amount of noise these vehicles were creating was phenomenal. Elephants are really gentle souls and I would squarely lay the blame on us humans for the conflicts. It is indeed scary. If an elephant decides to topple over a vehicle it can do within seconds. They are amazingly powerful creations of God. I hope we can allow them to live in peace. The video was fabulous, Sabyasachi! Your word verification is creating a bit of trouble. This is the third time I am trying to post this comment. Let’s see..if this goes! I am happy that you liked the video. I was earlier imagining the situation you had faced in the railway platform. How lucky you are! Unfortunately, our people can do anything and get away with it. When I try to tell people that they should not feed wild animals on the road or it is too dangerous to get down from the vehicle to photograph elephants etc, they just don’t care. And these people are the so called educated folks and from the affluent segments of the society. An elephant can run at speeds between 35-40 kmps per hour as per my estimates while being chased by elephant. 🙂 Even Usain Bolt’s fastest speed cannot match an elephant over a distance. I hope to spread the message so that we can save our gentle giants from extinction. PS: Unfortunately I am getting lot of spam messages so I have put the captcha and some genuine people like you are also having issues. 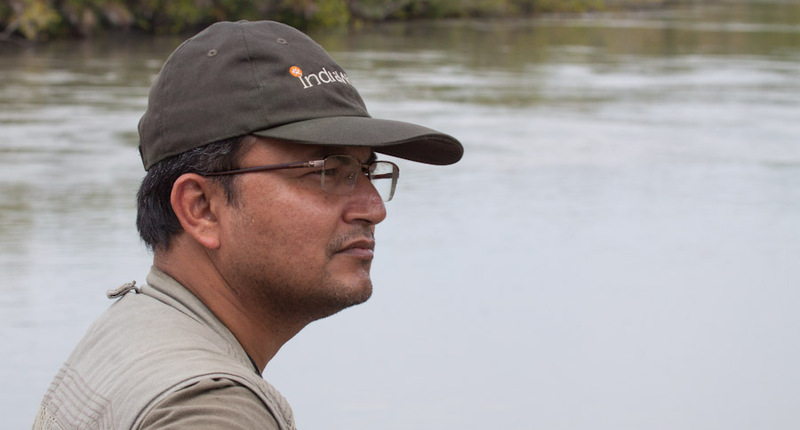 That was a very interesting post Sabyasachi,you are deeply devoted to the cause of wild life preservation & lead such a dangerous life to further your mission.Hats off to you ! There is only one life to lead. Don’t want to have any regrets when my time is up. I hope I can get the support of millions of my fellow Indians so that we can together save our fast vanishing wildlife and wilderness areas. Nice video. A very informative article. Since you have wished it, I am sure you will see a wild elephant in 2012. I hope to inspire people who in turn can champion the cause of wildlife conservation. as usual all wow snaps ! of course an informative post ..i had no clue about … nice post Sabyasachi ! Scary indeed.. Mysore had to face the wrath of 3 elephants which came into the city. I think it was almost an year since the event happened, it was very scary and the video footages of the elephants did create an impression as to what the fury can mean.. The incident in Mysore was widely reported. When these gentle giants are infuriated, they can flatten up anything infront of them. We humans are too insignificant and powerless infront of them. Sadly, we take advantage of their gentleness and move in close and within their comfort zone. The video was really good, Sabyasachi! We have recently had a young man losing his life when a herd of elephants attacked him. It is scary. 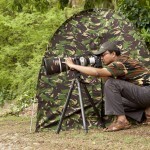 One can never be too careful in the jungle and around wild animals. I am happy that you liked the film trailer. Are you referring to the gentleman in IBM who passed away in January? It is said that while fleeing the scene, he tripped and probably had a heart attack as he was not trampled by the elephant. Or are you talking about another instance? I read the read the article and I had a similar experience several times while I was in a vehicle and several times while I was on foot. Recently I had similar experience in Sethumadai-topslip road. I suppose to take class for a batch of foresters in Topslip. There was no government bus for me to go to Topslip at that time. So I requested the Forest offiucial incharge to send me a vehicle to pick me up from sethumadai. i was waiting for long time there was no sign of the vehicle then I called the officer incharge and asked him what happened to the vehicle he told me that he had send the vehicle long back and he called the driver and asked him what happened why you did not reach in time. He told him that he got held up by a herd of elepants on the way to Sethumadai that is why there was a delay. Then the official called me a and explained the situation. First i did not believe it and then the driver reached the place where I waited for the vehicle and naratted the problem. While going back we faced the same problem first elephant charged our vehicle then I asked the driver not to get panicked and I asked him to slowly reverse the vehicle. The reason why the elephant charged at our vehicle was there was small calf in the herd and there was no place on either side of the road for them to go that is why they charged our vehicle. We would have reversed our vehicle for about 200 meters and there was a path on the road side and the elephants slowly moved out from the road. So if you know why they are charging you can always manage the problem but some times you do get attacked by elephants if you get panicked and if you don’t know why they are charging. On our way to Ooty at Bandipur reserve forest we came across a herd of elephants who were crossing the road..we parked our car at a safe distance and were witnessing the huge animals cross the road..They were huge but were so calm and so adorable..
Lovely video and photographs with wonderful narration..thanks for sharing..
Good to know that you had a nice sighting. The elephants are very understanding and give us space. There are places where elephants are known to wait for even as long as 12 hours before they can cross the road and get to the waterhole. I hope we can spread awareness so that people give them right of way. Your posts remind me of one of my favorite writers Willard Price. Thank you for the video and the explanation. Many do not follow the simple rules of jungle.This is the case especially the so called educated. 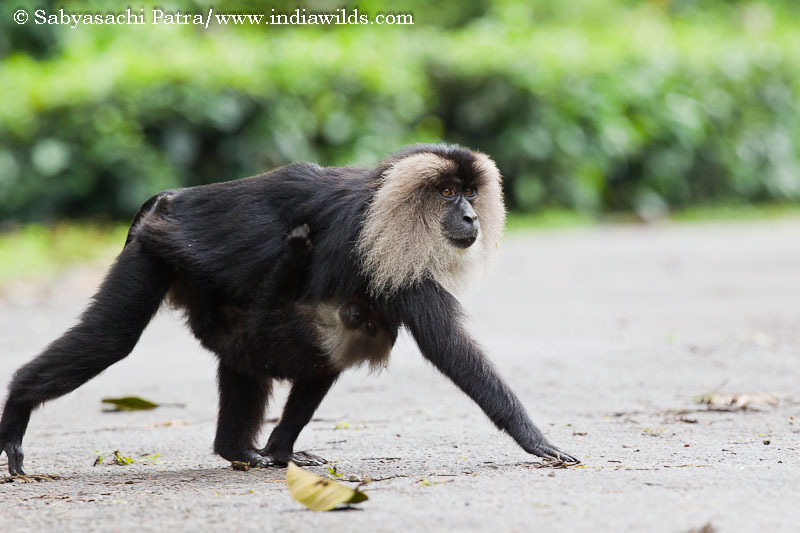 As a young boy i had an encounter in thekkady. I vividly remember. Very interesting read. I can relate to these totally. In fact, my dad had several similar anecdotes during his tenure as Range Officer in Manas Wildlife Sanctuary in Assam. I have tried to cover some them on my blog, though I admit my language skills are not adequate enough to express them coherently. Do go through them. I just love animals! And I just found out that Manila Zoo has a cute elephant named Mali, and she is the only elephant in the Philippines! She has lived there for almost all of her lives, for more than 30 years. The zoo should feel like her sweet and cozy home now. But then, I read some articles in PETAAsiaPacific.com, and I noticed that Mali is in fact sad and lonely! Look at her here: https://www.facebook.com/FreeMali. She is like a prisoner, who cannot spend her days with her friends, roam in vast territories, and have delicious adequate food! She even suffers from foot problems. Why does she deserve this? 🙁 Please Help Her! a well written article out of your sheer experience.. waiting for sequel.. The awareness for these wildlife is very less, me and my friends have seen many times how these peoples annoy the elephants and wild animals 🙁 . 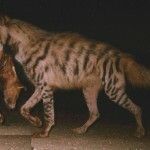 Something must be done to preserve the wild animals. Me and friends were lucky to spot a elephant herd (15 Elephants) at one shot which came down the stream. We will never forget those wonderful moments. Escaped from the jaws of death ! 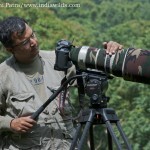 Photographing in the wild in Lansdowne division; my forest guard was smashed to death while I managed to run; barefooted and with a 5 D Mark III with a 400 mm lens and a 1.4 cnvrtr. God is great.